“The RPi Internet Weather Station project displays the weather information such as temperature, humidity and successive weather forecast. 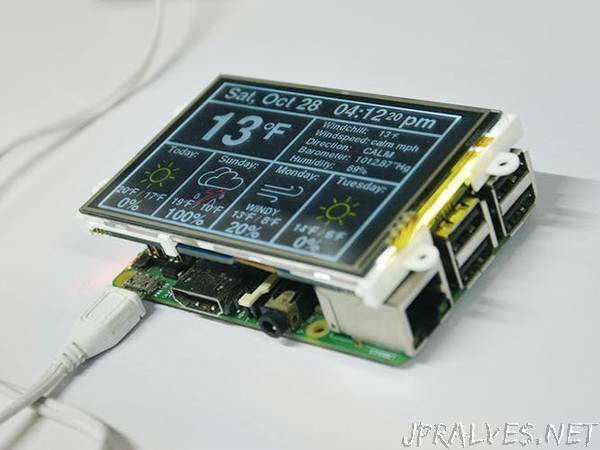 The 4DPi-35-II is a 3.5” 480x320 Primary Display for the Raspberry Pi, which plugs directly on top of a Raspberry Pi and displays the primary output which is normally sent to the HDMI or Composite output. It features an integrated Resistive Touch panel, enabling the 4DPi-35-II to function with the Raspberry Pi without the need for a mouse.